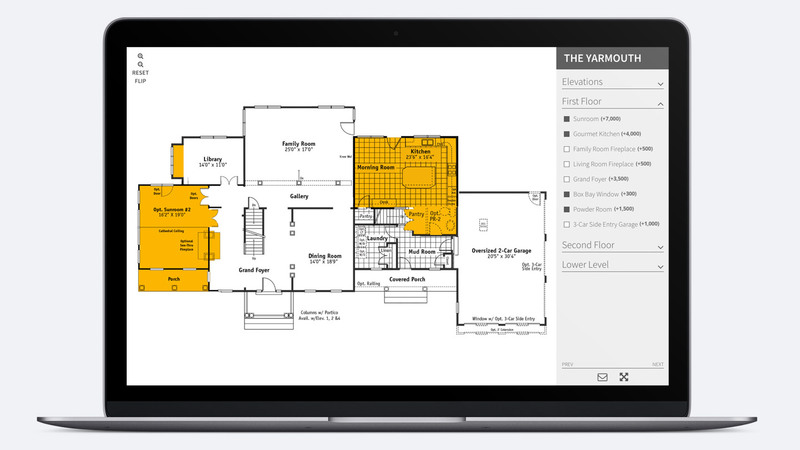 Interactive Floor Plans for Home Builders from ONeil Interactive. Mobile Ready. Conversion Optimized. 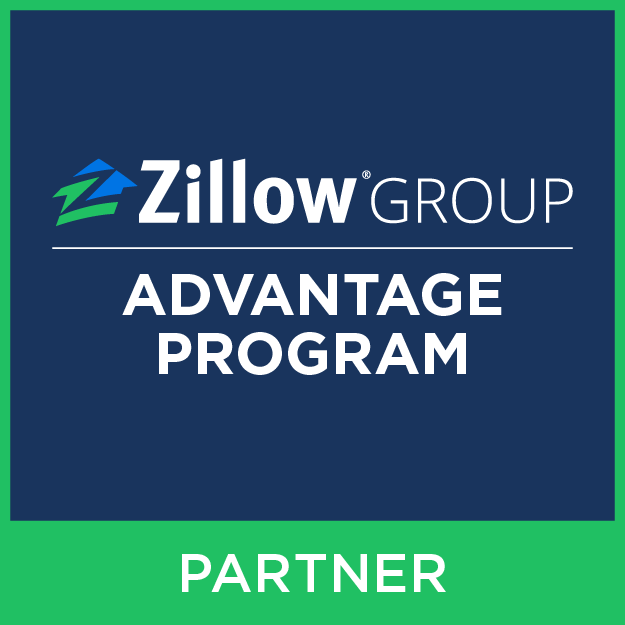 Lead Generating. 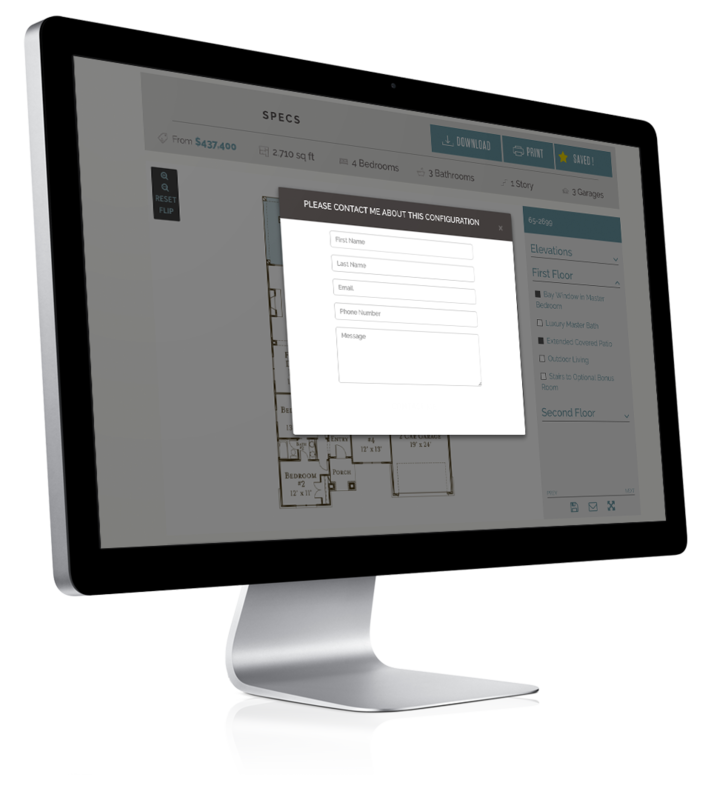 ONeil Interactive's interactive floor plans were developed based on years of experience studying the online homeshopper. We know what features consumers use and want, and which features builders need. That's right. 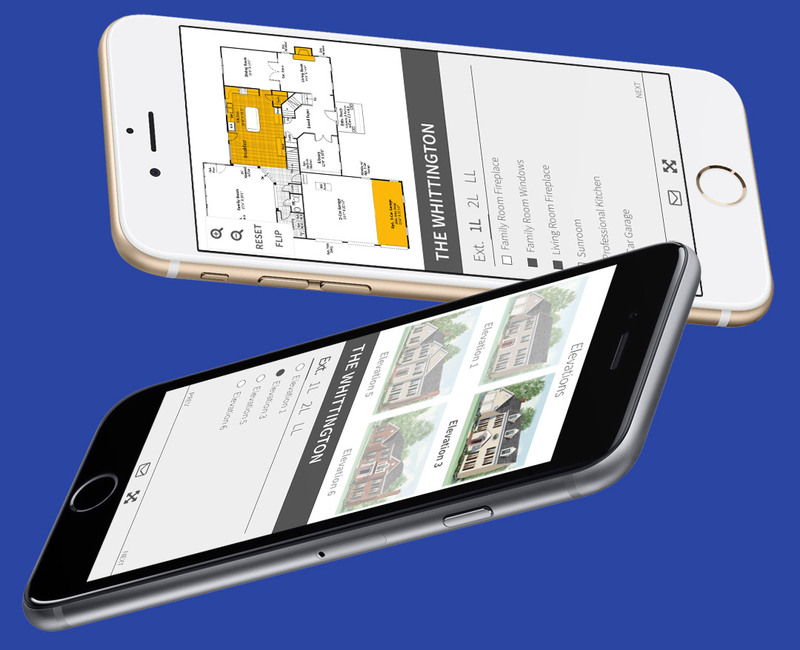 Our interactive floor plans are the only ones that allow prospects to configure their new home on a mobile phone. The marketplace is mobile. Don't let your investment miss a huge portion of your traffic. 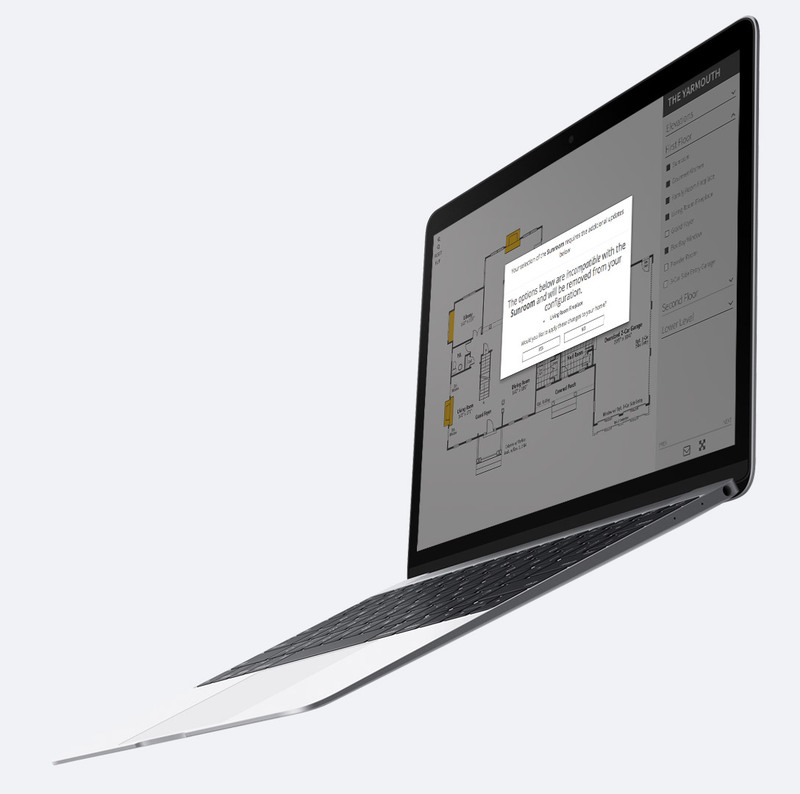 Empower your prospects to save their configured plans with one click; keeping them coming back to your website over and over. 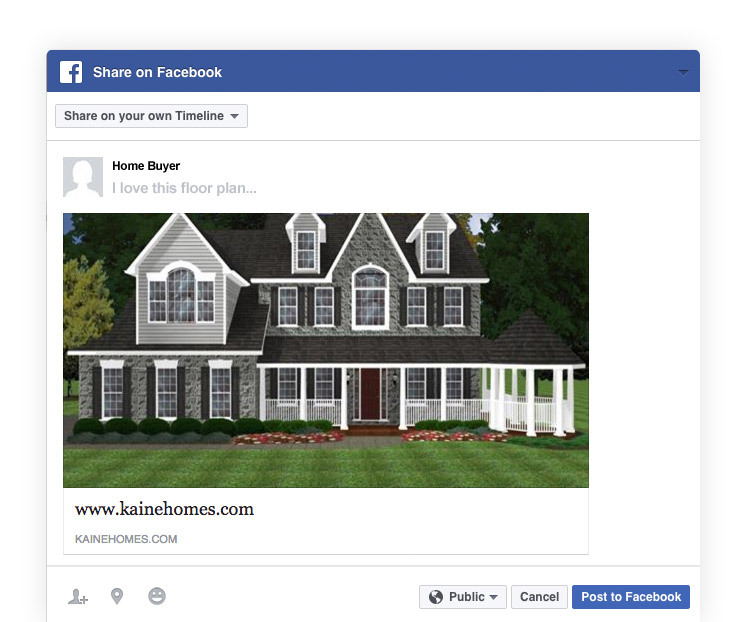 Let your prospects share configured plans to Facebook. They get feedback from friends and family while your advertising dollar gets amplified. With a few clicks, prospects ask for more information and your sales team receives all the details of the configured plan. 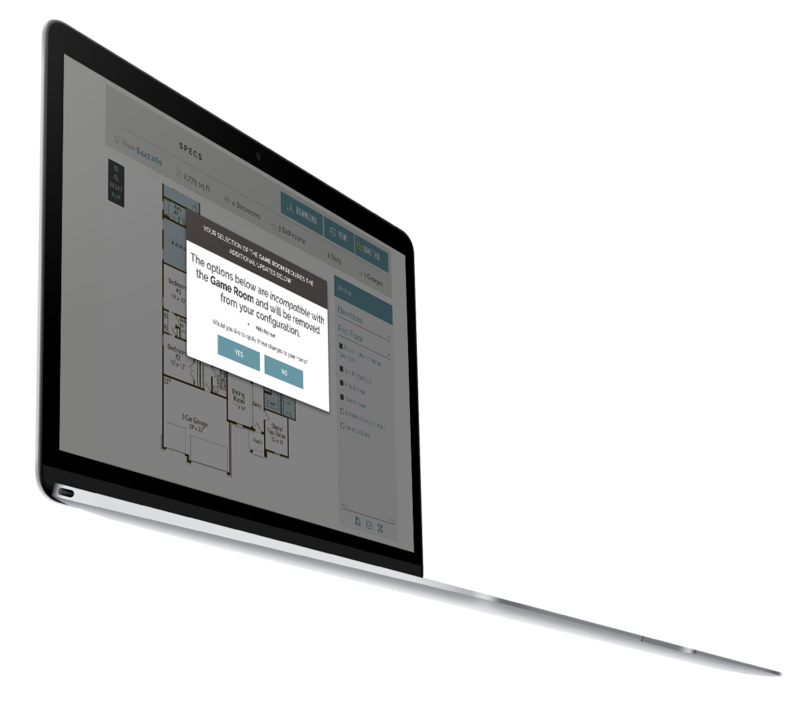 Running on the unmatched power and scalability of Homefiniti, the operating system for home builders, these interactive floor plans are fast and ready when home shoppers want them to be. A nearly unlimited number of option configurations are possible, with full support for required and incompatible options to ensure an accurate experience for the home shopper. 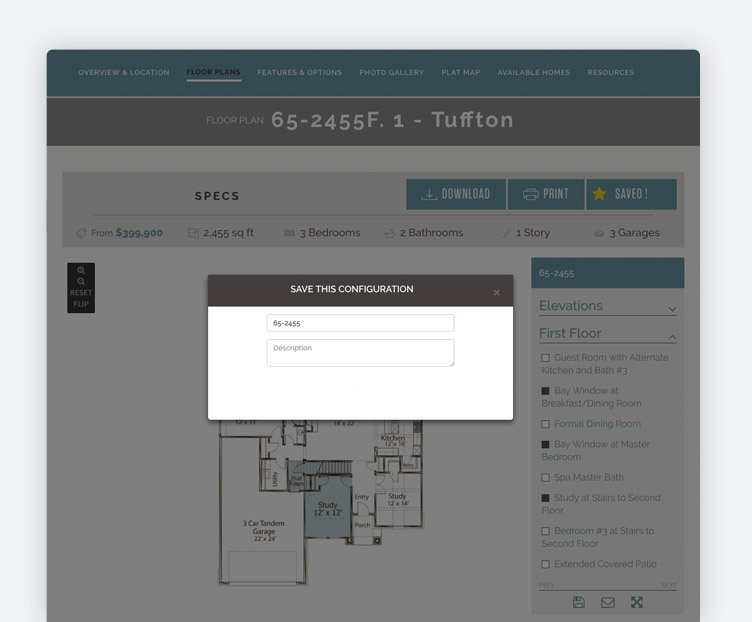 While not for every builder, our Interactive Floorplans can tally the price for each option your shopper selects; similar to the "Build your Own" experience common on car manufacturer websites. Ready to push the boundaries? If not, no sweat. It's there when you're ready.